TIMELESS. SOPHISTICATED. ELEGANT. 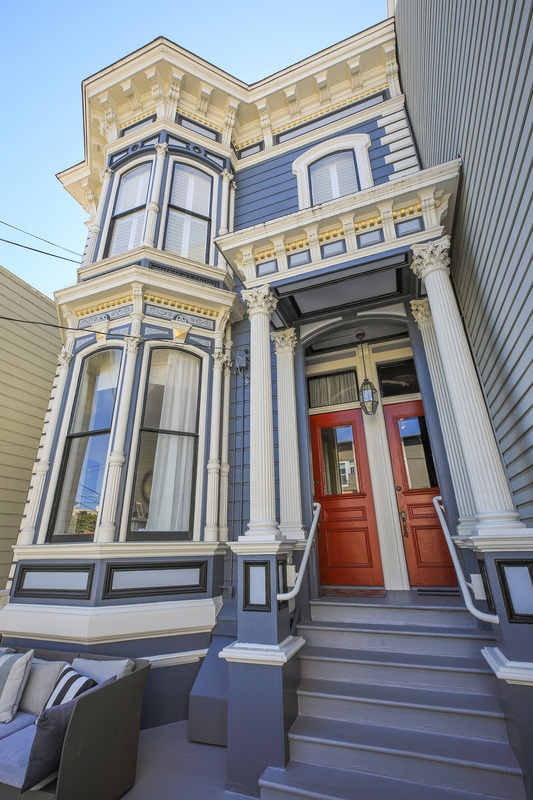 This stylish top floor remodeled, detached on three sides and built in this 1896 Victorian residence boasts 11 foot ceilings, hardwood floors throughout, flooded with sunlight, and beautiful period detailing, ceiling medallions, large picture windows. 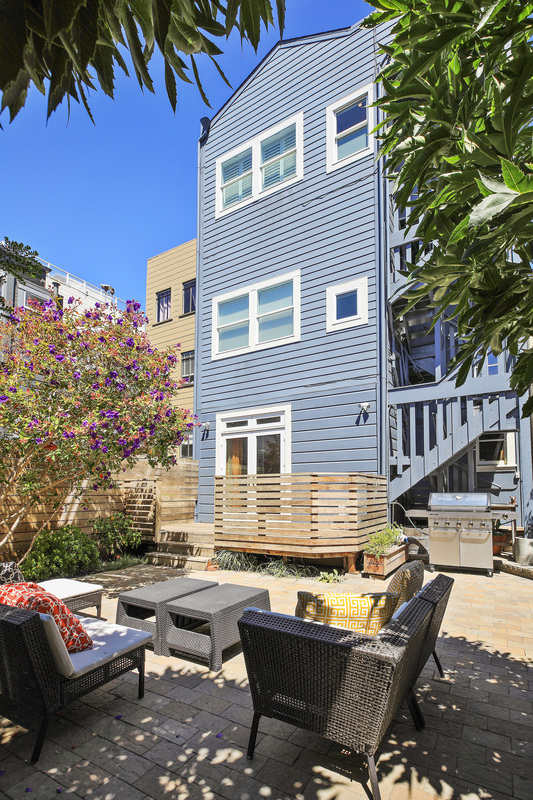 There is an openness to this condominium with a great mix of modern and classic creating a home for elegance and comfort which emulates the best of cosmopolitan chic and the Hayes Valley lifestyle. 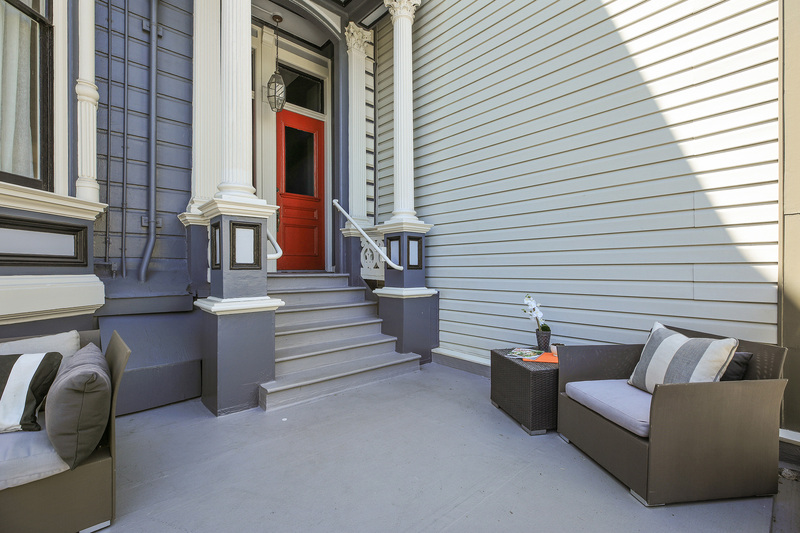 Premier Hayes Valley location – prime walking distance to multiple cool neighborhoods – boutiques, cafes shops, bistros, restaurants and the Castro Movie Theater where many Hollywood premieres have been launched. Approximately 1,620 sq. ft. per Floor Plan Visuals, 1487 per tax records. 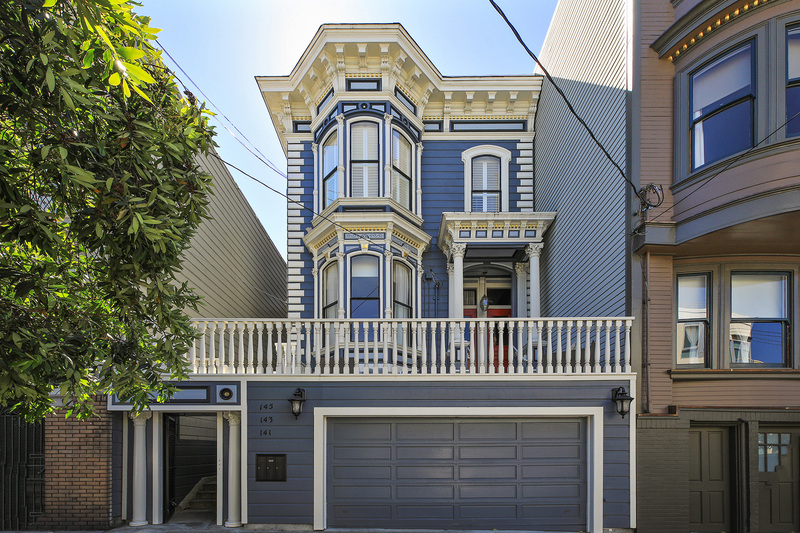 My husband Carlos and I would like to extend a huge amount of gratitude to Linda Gordon for helping us to navigate the sale of our condo in Hayes Valley. I’ve personally worked with Linda on three (3) different real-estate transactions over the past 19 years in the San Francisco market and she has delivered every time. Twice as a buyer, and once as a seller – and she always had my back. Linda is whip-smart when it comes to all aspects of the SF real estate market, and she also is a caring person who genuinely wants only the best for her clients. We appreciate that she can be tough when needed, while still being professional and fair. SF is a tough market, and Linda helped us navigate all aspects of our sale and she guided us through multiple sensitive situations with ease. In short, we trusted her and she came through. 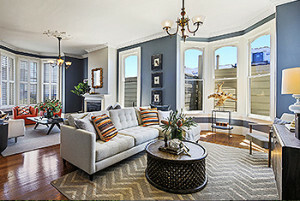 We highly recommend working with Linda Gordon for any buyer or seller in the San Francisco market. She knows the business inside and out, is very well connected, and has an unbreakable work ethic. On top of all of that, Linda is simply a really nice person with a big heart. It was a pleasure working with her. Main Living Room – open and spacious double parlor with fireplace, bay windows, closet, vintage light fixtures, handsome plantation shutters. Formal Dining Room – fabulous for entertaining with space for large table, marble surround fireplace, plantation shutters and a new light fixture. Two Eco Friendly Fireplaces – water vapor and light creates a wonderful aesthetic. Chef’s Kitchen– new Carrera marble countertops and back splash, new sink, faucet and disposal, updated Viking range and microwave, GE refrigerator, Bosch dishwasher, updated lighting and Porcelanosa tile. 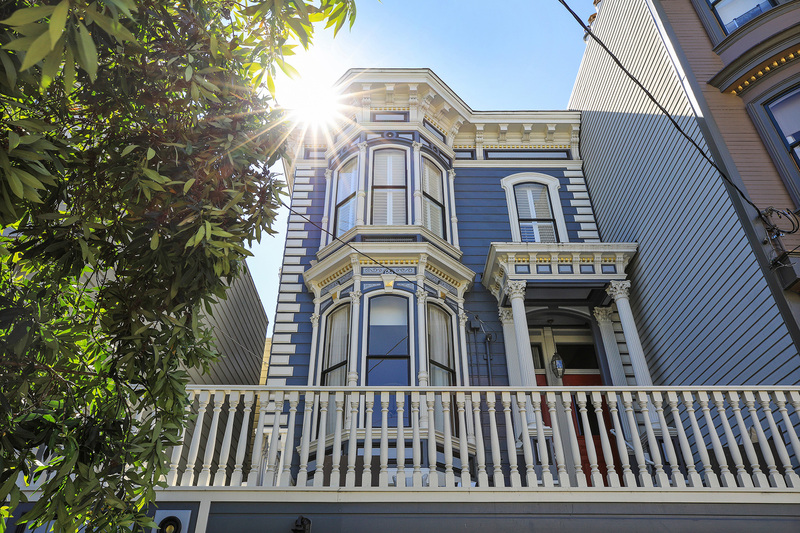 Enjoy the views of Twin Peaks, Buena Vista Park and St. Ignacious. Exit to backyard via the stairs. Master Bedroom En Suite – light and airy with fully updated with Porcelanosa throughout. Main Bath – updated Porcelanosa tile, newly painted, vintage pedestal sink, marble enclosed bathtub with shower. Plantation shutters for privacy. Laundry – stacked washer and dryer purchased in 2016, this is adjacent to the kitchen. Storage – great closet space in the unit (5 closets and an  extra utility close in the dining room) + a storage space in front of the parking space located in the garage. 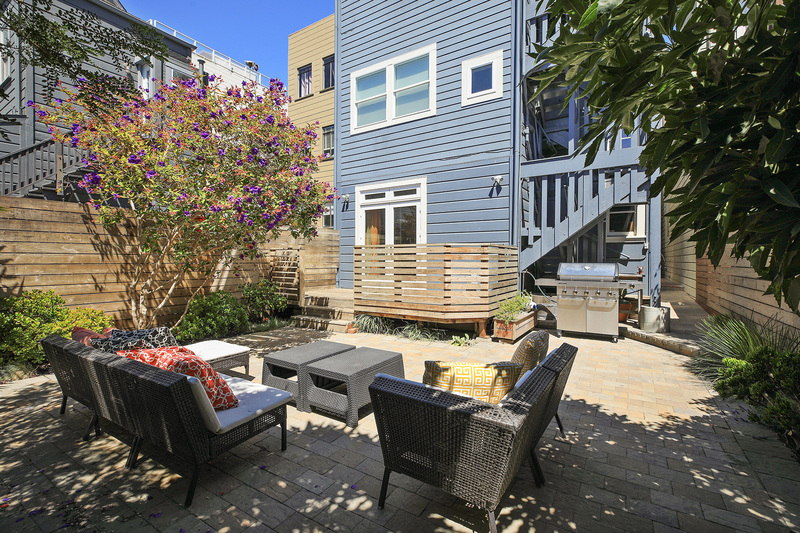 Backyard – gas barbecue and furniture shared by all units. Fully landscaped (2016) with pavers and complete with green pad for pets. Outdoor area brings beautiful afternoon and evening sun and a lovely area to enjoy. 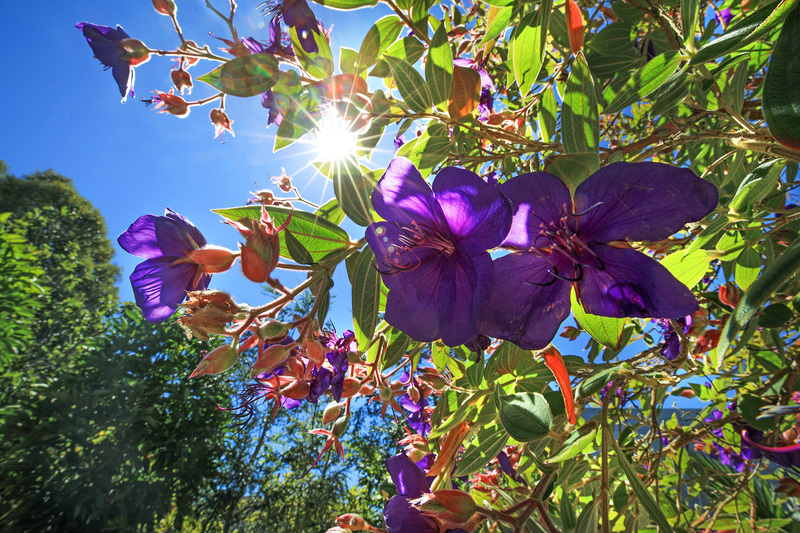 Parks – Duboce Park Dolores Park, Alamo Square, Koshland Park, Buena Vista Park – enjoy all the wonderful amenities of these green spaces – dog running, playground, tennis courts, picnic tables, basketball and more. Favorite Restaurants and Cool ‘hot’ spots – Zuni Cafe, a  Mano, Absinthe, Hayes Valley Grille, Jardinere, SF Ballet, Opera, Davies Symphony Hall, San Francisco Jazz, many Lower Haight fabulous restaurants, cafes, nightclubs. The Castro: full of famous places to be seen and love. The Mission/Valenica Corridor: incredible restaurants and nightlife, vintage shops and a fun area to visit. Wiggle Bike Path – beloved by bicyclist and a route from Market Street to Golden Gate Park. Walk Score – Walkers Paradise 96, no car required, close by is Muni and the J Church and N Judah. The Haight Street bus is only 1 block away, and BART is close by. South Bay commuter shuttles 2 blocks from the property. Enclosed Garage– 1 car parking and enclosed storage (10×12). NEST Learning Thermostat – beautifully designed to keep your comfortable and help save energy. HOA Dues: $300.00 monthly HOA Dues include: garbage, water, monthly backyard maintenance, annual window cleaning, building insurance. On a monthly rotation 143/145 Buchanan rotate maintenance for the front deck. © Linda S Gordon. All Rights Reserved.